Apple’s new, third-generation iPad will go on sale tomorrow morning and the hype is crazy right now. Apple has sold out the first wave of pre-orders for the new iPad and iPad sales for Friday have been projected to hit one million. 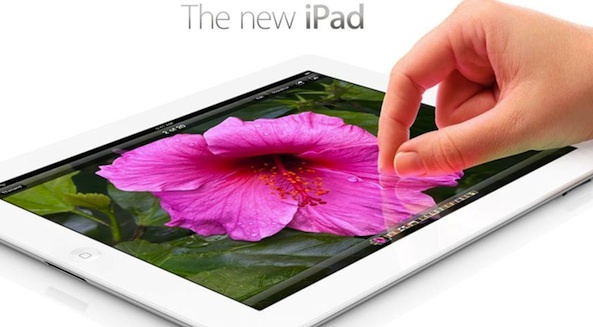 Analysts from Canaccord Genuity stated that Apple will sell 65 million iPads in 2012. Previous analysts had already predicted Apple to sell a record number of iPads this year. Apple said that demand for the third-generation iPad has been off the charts, selling record amounts of pre-orders. Other analysts are already predicting sales for 2013, saying a total of 90.6 million units will be sold. Stay tuned to DailyiFix, as we’ll be showing off the new iPad and running several tests tomorrow.